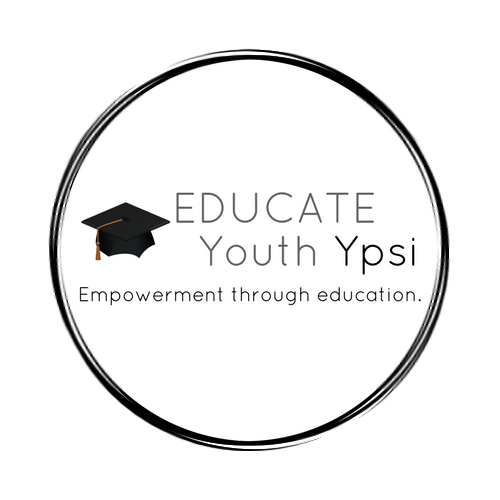 The mission of Educate Youth is to provide programming for Ypsilanti teens which will promote positive outcomes in all areas of life. We are committed to increasing the number of Ypsilanti students who receive a diploma, and for each graduate to have a post-high school plan, one student at a time. Join us in building our youth’s futures now. Educate Youth supports students as whole people, regardless of the cards they’ve been dealt. They receive academic support, SAT preparation and teen-led activity planning. Students are supported with consistent, positive mental health interactions and role models. Education gives a new hope for teens. Earning a high school diploma not only impacts the student, but it role models to younger siblings and other youth in the community that it is important to succeed academically. The video on our history page was made by teens for teens. The teens who made the video attend Skyline High School in Communication, Media & Public Policy Magnet. Educate Youth received Food Money in the amount of $100 from Costco. Thank you so very much Ypsilanti for partnering with us! !